Why when Apple releases a new gadget do companies think it is a good idea to cover them in precious metals, gems and other things that make them look ugly? We have already seen the diamond iPad which will set you back $20,000, and the $3.2 million iPhone 3GS. Now we have another iPad that has had its stylish design spoiled by covering it in shiny things, the Swarovski covered iPad. 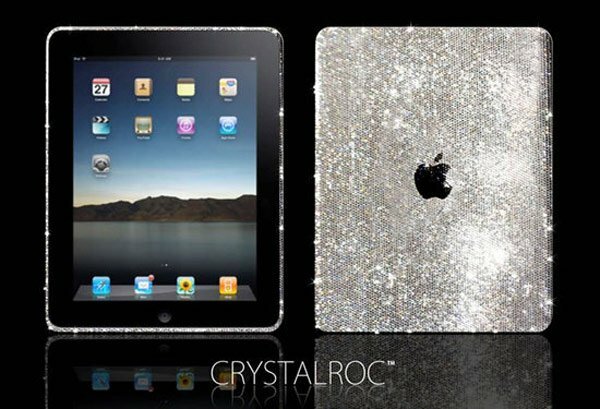 If you have $2,250 to spare, and are stupid enough, you can get yourself one of these Swarovski iPads from Crystal Roc.